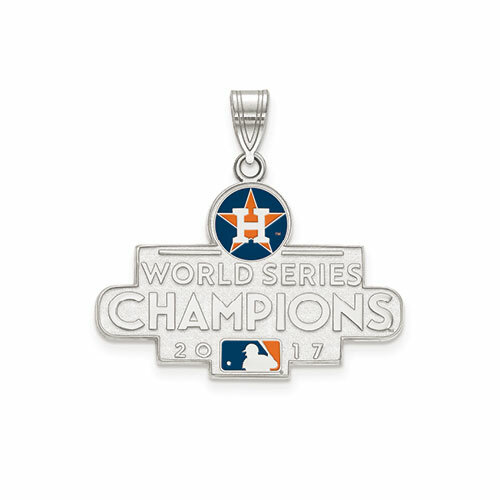 Houston Astros World Series 2017 champions pendant is made of blue and orange enamel and sterling silver. Item size: 1in x 5/8in. Officially licensed MLB jewelry. Fits up to a 4mm wide chain. Made in the USA. Perfect charm to celebrate the Astros Championship. Houston Strong! The perfect charm to celebrate the recent World Series Win. *The enamel pendant is a little larger than the plain charm.